With wide range of speed and feed, with manual、power and fine feeds. The feed of machines are very easily engaged and disengaged at any time. l With safe and reliable feed safety machine, all parts easy operation and change. l All controls centralized on the head stock easy operation and change. Clamping for assemblies and speed change of spindle achieved by hydraulic power. l Main parts are made by machine center which import form KIA with high precision and efficiency, ensuring reliability and high quality. l Integrating technology for casting parts is excellent, adopting casting equipment, ensuring high quality of material for basic parts. l Spindle parts are made by special high quality steel heat treatment to be made by first class equipments, ensuring high strength and durability. 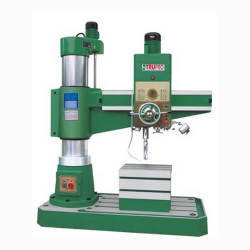 l Main gears are machined by gear grinding, the machine ensuring high precision and low noise.